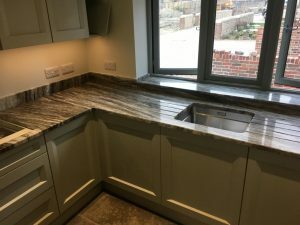 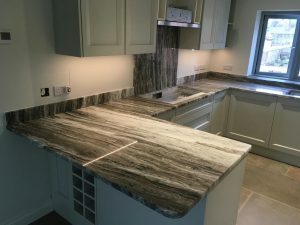 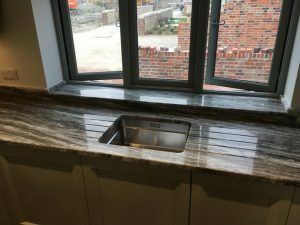 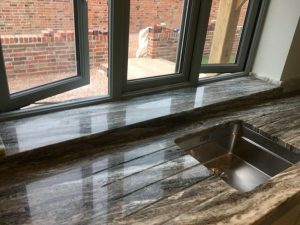 County Stone recently installed ‘Terra Bianca‘ quartzite to a customers home in Amberley. 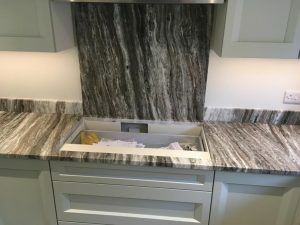 Terra Bianca is quartzite cut from quarries in India. 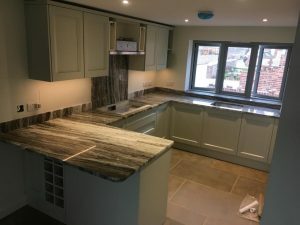 The colours consists of different shades of white, grey, cream and brown running throughout the stone. 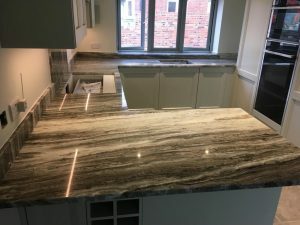 Quartzite is a good alternative to marble because it provides the same glassy texture, but with much higher strength and durability.